Are You Ready To See The Working Dogs Of Tomorrow In Action? It’s the Midland Game Fair 2015 – Great Wall Motor World Series Gundog Championship with Skinners Dog Food. 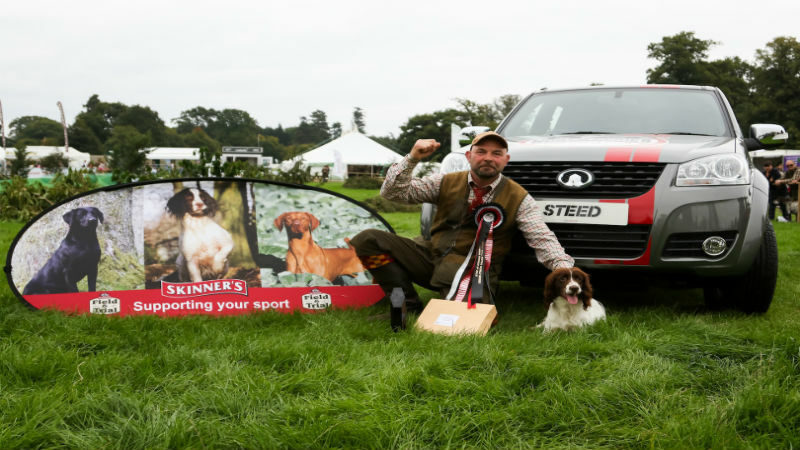 The Great Wall Motor World Series Gundog Championship with Skinner’s Dog Foods is one of the most popular competitions of all the championship events. Year on year it continues to draw in hundreds of handlers and their dogs eager to take part. The weekend kicked off with handlers and their talented companions competing in the last qualifying round of the season, eager to make it to the Grand Final on the following day. With a fantastic prize of a Great Wall Steed SE worth an enormous £17,000 and the esteemed 2015 championship title up for grabs, the competition was fierce. On Sunday qualifiers were welcomed to Weston Park to partake in the Grand Final where handlers and their gundogs competed with the hope of snatching first place. Kevin John and Poppy overcame the strongest field ever seen to win the championship for the second time!